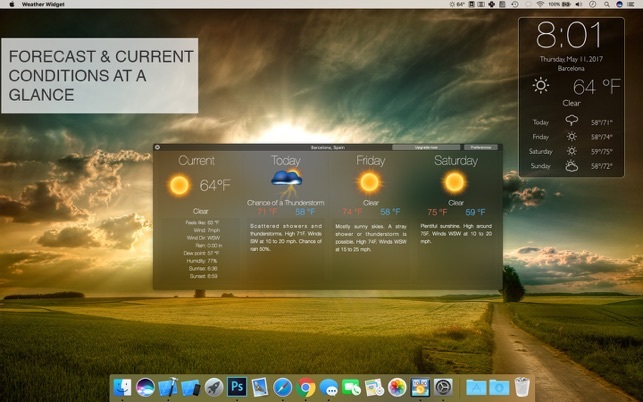 I just wanted a weather widget for my menu bar, that’s it! This app does just that and seems to work just fine. 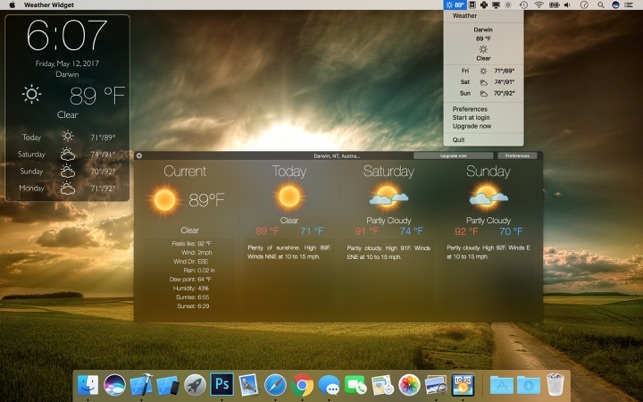 I don’t need the graphic on my desktop (nice style options to choose from btw) and the developers make it easy to not utilize the desktop graphic and keep the app hidden in the dock while it still displays temp in the menu bar. You can also have it load at startup with these settings and outside of a white box that appeared for several seconds it still works. 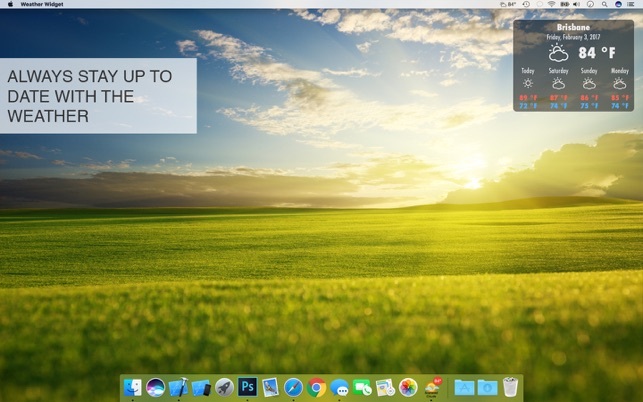 The graphics are great and functionally it is exactly what I want in a desktop app. But the temperature is updated so infrequently that it is often ten degrees behind what the weather actually is outside. For example, at 8 am it will say the temperature is 55 degrees. At 1 pm it will still say 55 degrees, even though the temperature has gone up to 66 degrees (as multiple other weather sources confirm). Eventually it catches up - by 5 pm it shows 72 degrees, which is the same as the temperature outside (as confirmed by other weather sources). In short: if you want to know what the temperature is right now, it’s useless. 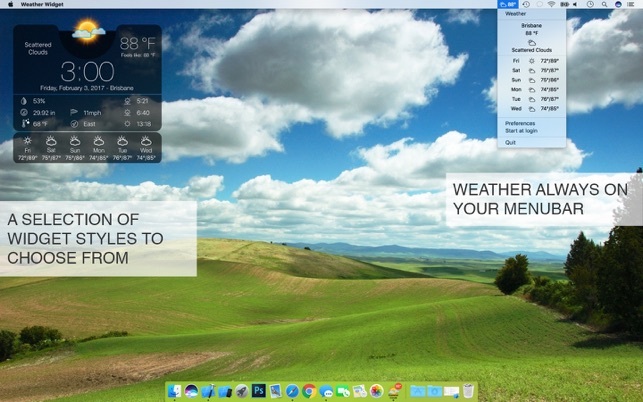 This is the third desktop weather widget I’ve tried and I totally love it. It’s accurate and the features are easy to read. The graphics and animation's are extremely appealing. 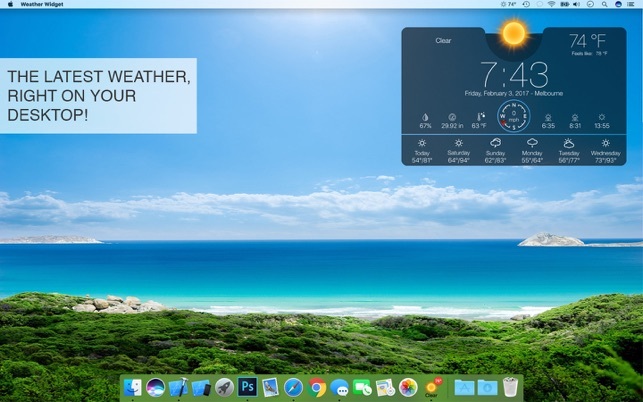 I don’t need to open my browser for a weather condition check.